Suitable for applications in serial with the 100~240Vac mains, as a small power LED driver module, small household electrical appliances control panel (electric kettle, electric cooker, coffee machine, hair straightener etc. ), thermostat, replace the transformer. 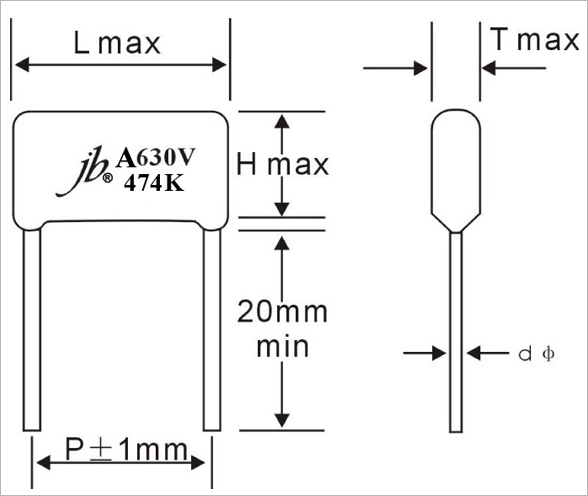 Widely used in LC resonant, high frequency high current situation Following are our Metallized Polypropylene Film Capacitor features, specifications and drawing. Flame resistant epoxy resin powder coating (UL94/V-0).